The Unofficial P64 Resource Forum • 109 gr. I just scored 3 boxes of the fairly rare 109gr. 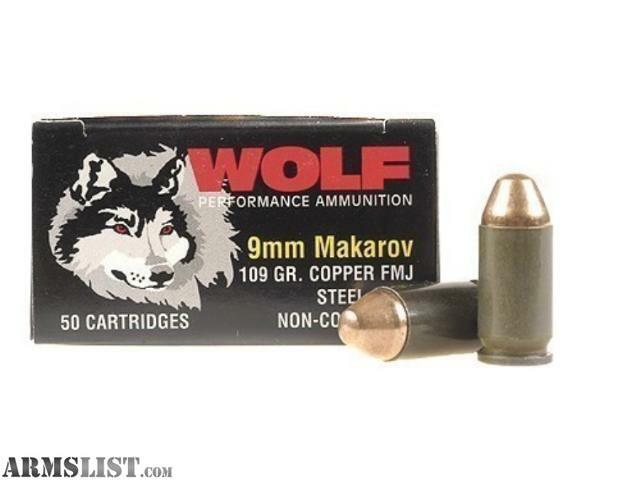 9x18 Makarov ammo on the secondary market. Including shipping it's getting me for $15 per box. 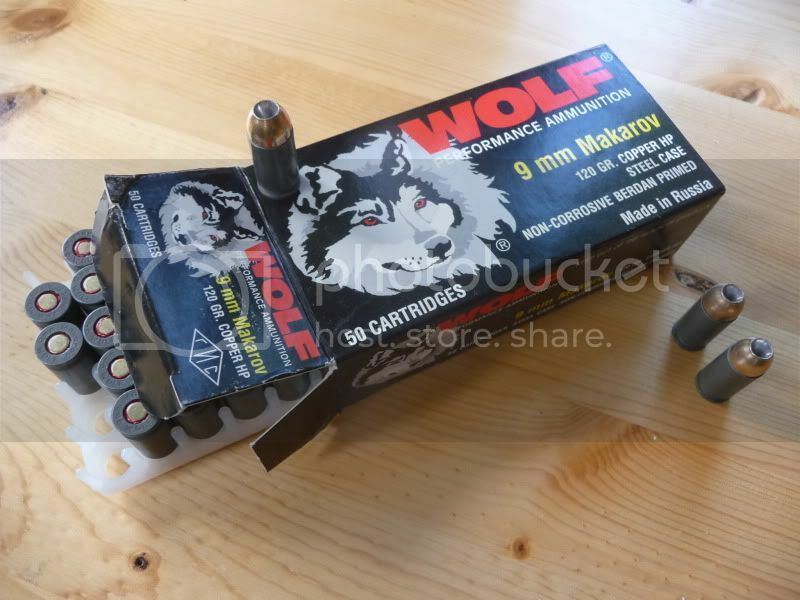 That gave me a little heartburn 'til I remembered the Federal brand 9mm Luger I bought yesterday for $15 at WM. Oh well. 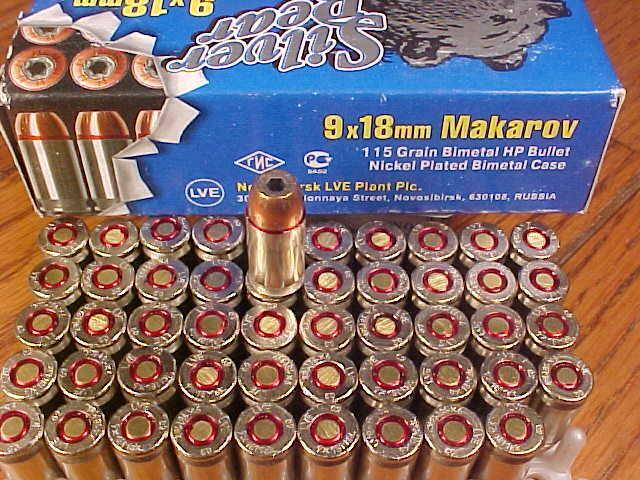 My P64 likes it and the heavier weight makes it better SD ammo than the 95gr ball, even if it does make the "pounder" kick even harder. Maybe I'll save it for use in my IJ-70 18AH. what's the brand name, and what's the casing and bullet metal like? got photos? petesimon wrote: what's the brand name, and what's the casing and bullet metal like? got photos? To my knowledge only one manufacturer made 109gr. 9x18 Makarov. This is they. Wolf brand. It's well out of production by now. Standard copper FMJ (but I suspect it's actually tombac/bi-metal) and steel case. The bullet is the weird "truncated cone." My P64 likes them (indeed, most of my Mak cal guns do) but they jam like nobody's business in my CZ82. Here's an old pic I took. It's a wee bit fuzzy. Thanks. Awesome stuff! 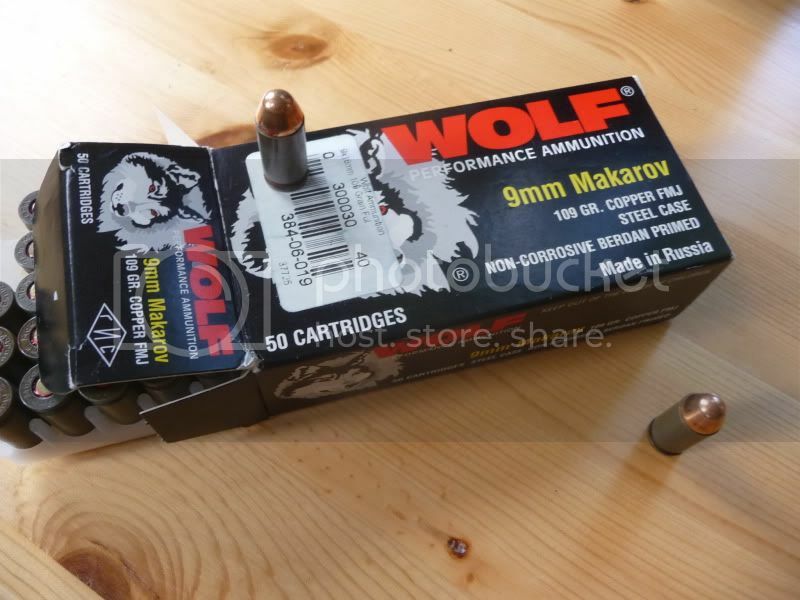 I'm looking for other rarities: silver/brown bear ~115 or more grain FMJ or hollow points, and wolf ~115 or more grain FMJ or hollow point like I found in google images search.